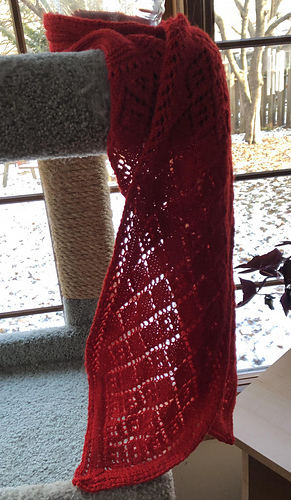 This Seaman’s Scarf cuddles up to your neck, then broadens out to keep your throat warm and show off it’s style. 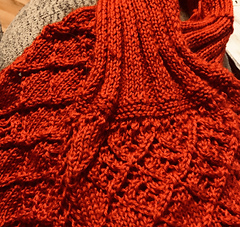 It begins with a provisional cast on; both lace tails are worked from the neck down so that your stitches and bind offs are the same on both tails. 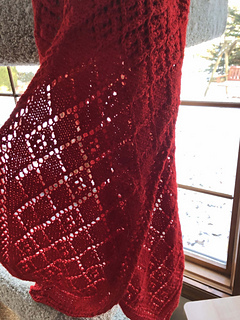 Catch A Star was designed for the Red Scarf Project 2018, and all proceeds from the patterns sales through the first quarter of 2019 will be donated to the Red Scarf Project.